How to clean data using Regular Expressions in Data Quality Services? In this blog – post, I’ll share a quick demo of how you can use Regular Expressions in Data Quality services to clean records. 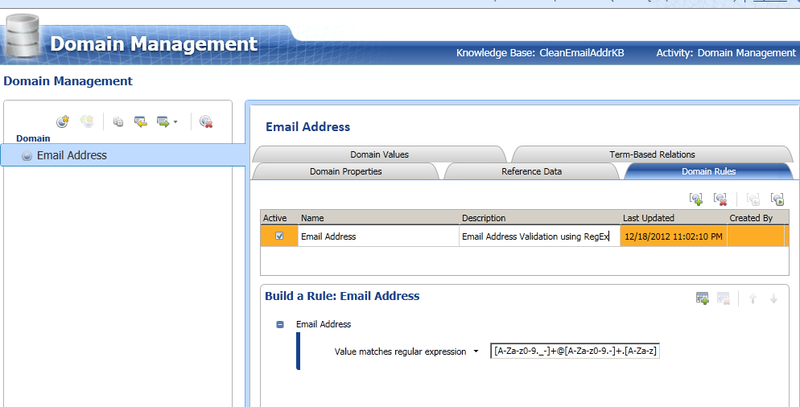 For the purpose of the demo, I’ll show how to clean perform a preliminary cleaning procedure on email records. check if a text follows the following pattern: something@something.something. 4) You can use this Knowledge base to clean email records in Data Quality Records But for now, let’s test our Regular Expression > click Test Domain Rule > Enter few records > Test them! Note: This is just a basic demo to show Regular Expressions in action. For cleaning Email records, there are other options like using third-party data sets or writing an advanced regular expression. The RegEx I shared was just meant for quick demo but if you want to read more about Regular Expressions used to clean emails then I will strongly recommend you to read email regular expressions that I got to know from Erik Eckhardt via the discussion on a Beyond Relational Tip that I had posted. 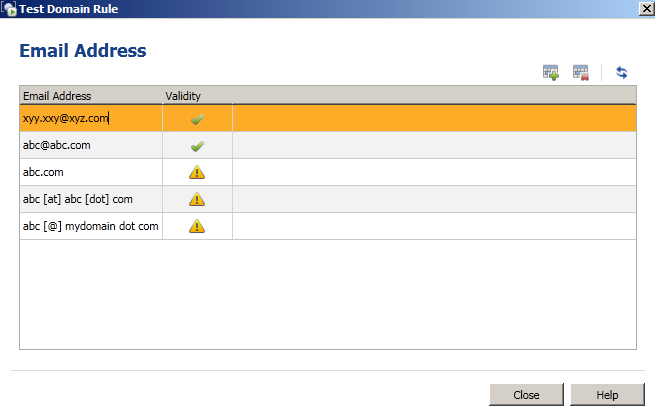 How to clean address records using third-party reference data-sets in Data Quality Services? I want to create a domain rule to check if the 3rd character of a domain contains 1, 2, or A. In sql i use substring(colname, 3,1) in (‘1′,’2′,’A’) which I want to implement that in DQS. I tried Pattern match and regular expression but I can’t find what are the valid expressions for Substring match?